Since recording this interview, Jason Kander announced that he was taking a step back from political life to deal with depression and PTSD symptoms he was experiencing as a result of his tour in Afghanistan. Kander bravely and candidly addressed his decision, in an effort to destigmatize mental illness and to encourage others to get the help they need. 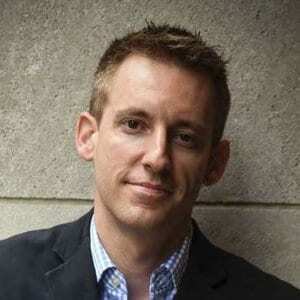 My guest this week on the Duct Tape Marketing Podcast is Jason Kander. He is a former Army Captain and New York Times bestselling author of Outside the Wire: Ten Lessons I’ve Learned in Everyday Courage. In the book, he discusses his time in the military and how he applies the lessons he learned while serving in his everyday life. Upon returning from his tour in Afghanistan, Kander returned to his hometown of Kansas City, Missouri and became involved in politics. He served as a member of the Missouri House of Representatives from 2009 to 2013 and became the 39th Secretary of State for Missouri in 2013; a position he served in until 2017. At the time of this interview, he was running for mayor of Kansas City. In addition to his work in Missouri politics, Kander founded Let America Vote, a grassroots campaign to combat voter suppression nationwide. What’s the benefit to admitting that, as a leader, you might be wrong? What are some of the specific takeaways from your military life that one can apply to entrepreneurship? Why are you drawn to local politics? Why fear is not an effective leadership tactic. The difference between dignity and integrity, and why one is negotiable while the other is not. Why it’s dangerous for leaders to forget about humility. This entry was posted in Jason Kander, leadership, Outside the Wire, Podcast on 28. November 2018 by Trafficblast.